A home or a commercial establishment is a huge investment. Therefore, as an owner, you want to protect it from damaging elements so that these will last as long as possible. At Forest Pest Control, we can make that happen! 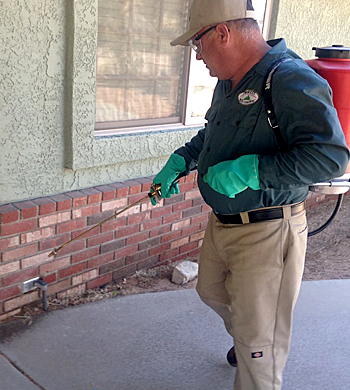 For 18 years, we have been providing exceptional pest control services throughout Apple Valley, Victorville, Hesperia and surrounding High Desert areas. Pests in the home can be a threat not only to the integrity of the structure, but also the health of the family. These are a major nuisance - they can bite, sting, and cause a whole lot of trouble that is downright infuriating. With our residential pest control services, we can assure you pest-free living for as long as you want. We employ a variety of solutions for some of the most common pests that lurk your homes - rodents, roaches, fleas, ticks, bedbugs and more! We are your reliable partner in keeping your commercial business free of pests that are a risk to your success. Certainly, you do not want your clients to be welcomed by roaches, flies, rodents, and other crawling and flying insects because this will eventually cost you your valued clientele. Forest Pest Control serves a variety of facilities such as buildings, offices, medical facilities, food establishments and other commercial establishments.